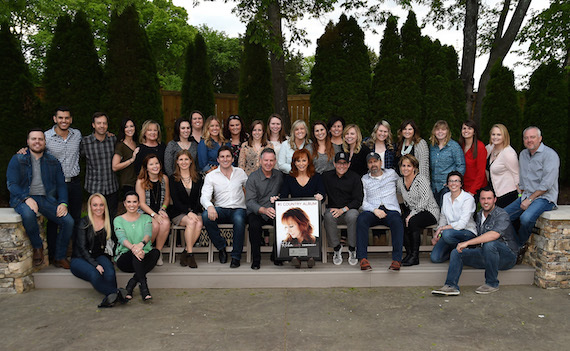 Nash Icon Records artist Reba celebrated her latest album’s second week atop the Billboard Top Country Albums chart with a private SiriusXM listener event at the Loveless Barn just outside of Nashville. During the evening, she was presented with a plaque from her Nash Icon Records/Big Machine Label Group family to honor her album Love Somebody as the first release and first No. 1 for the label imprint. During the event, Reba performed a mix of classics such as “Fancy” and “The Night The Lights Went Out in Georgia,” as well as new material from Love Somebody, including “Going Out Like That,” “Love Somebody,” and “Until They Don’t Love You.” The performance will air on SiriusXM’s Prime Country and The Highway over Memorial Day Weekend. Members of the Big Machine Label Group staff attended the special performance to help celebrate Reba’s second consecutive week with the No. 1 Country album. 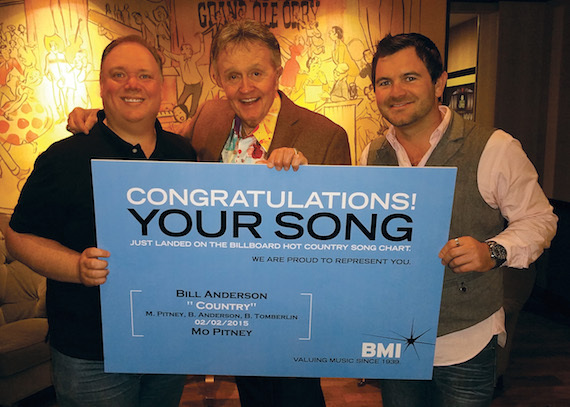 Bill Anderson recently added to his illustrious list of songs recorded by and released by top artists, with the tune “Country” from Curb Recording artist Mo Pitney. The song gave Anderson the distinction of having an entry on the country charts for seven straight decades. 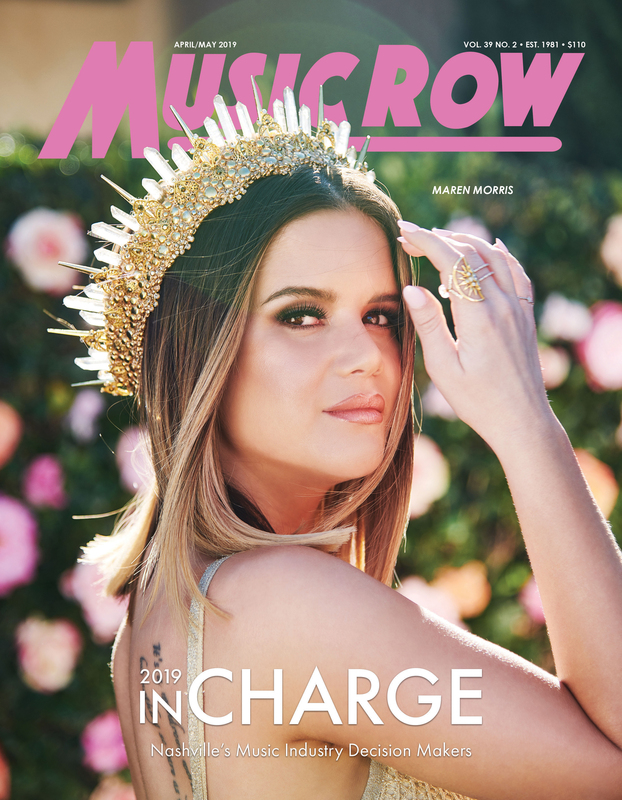 Anderson’s diverse career has included time as a singer, songwriter, television host, radio personality and author. He was recently signed by Webster Public Relations for pr representation. Pictured (L-R): Publicist Kirt Webster, Bill Anderson & Anderson’s Manager Lee Willard (Straight 8 Entertainment). 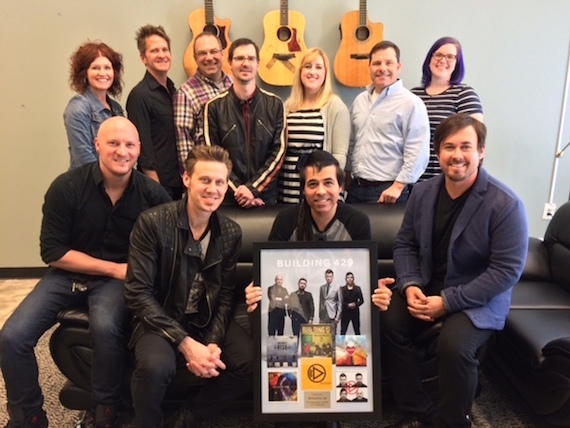 CCM group Building 429 notched a career milestone, hitting one million in single sales. The group’s label Provident Label Group honored the group with a plaque presentation, as Provident’s Sr. VP Dean Diehl praised the group for its accomplishment.